You switched to our site for Japan. This tools helps to add and subtract an arbitrary number of power levels expressed in units of dBm and watt. 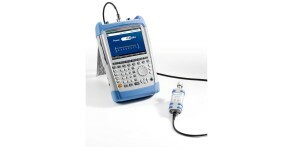 This tools helps to add and subtract correlated and uncorrelated voltage levels. This tool calculates for an entry using a unit such as dBm, dBW, mW, W, mV, V, dBV, dBµV and dBu the corresponding values for all other units, for individual impedance values. This tool converts linear power and voltage ratios to dB and vice versa. This tool converts reflection quantities such as Voltage Standing Wave Ratio VSWR, reflection coefficient, reflected power, return loss and mismatch loss.